Carrington • Utah coach goes through decision process. 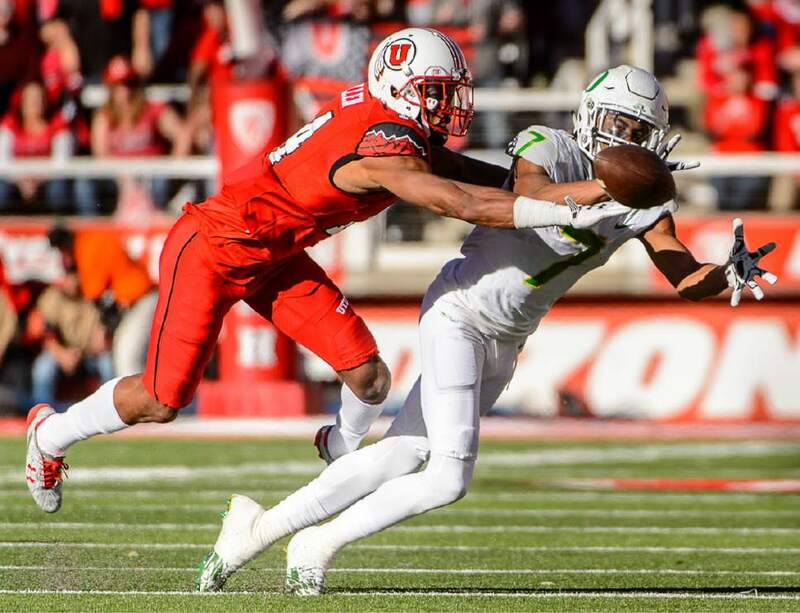 Hollywood, Calif. • Utah football coach Kyle Whittingham did not comment on former Oregon wide receiver Darren Carrington on Wednesday, but he did speak in general terms about his views on accepting transfers into the program who&apos;ve had disciplinary issues. Carrington&apos;s father confirmed to The Tribune on Tuesday night that his son will transfer to the University of Utah and its football program, but it hasn&apos;t been made official yet by the school. 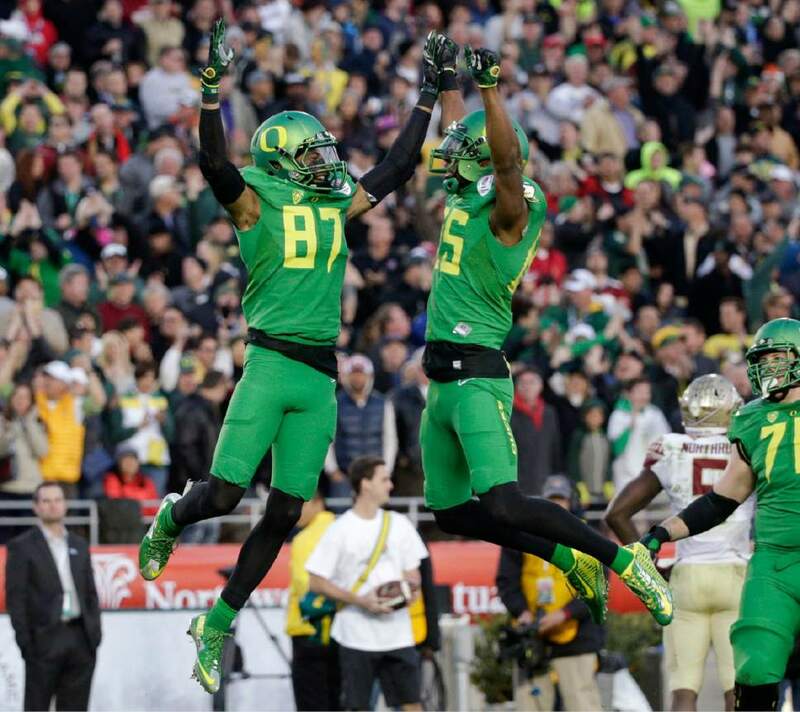 Oregon dismissed Carrington from the football team after a DUI charge, of which he has since pled not guilty. That incident was the latest in a string of off-field problems for Carrington, who was suspended for the 2015 CFP national championship game against Ohio State, reportedly for failing an NCAA drug test. He also got cited for an open container violation in September 2015. 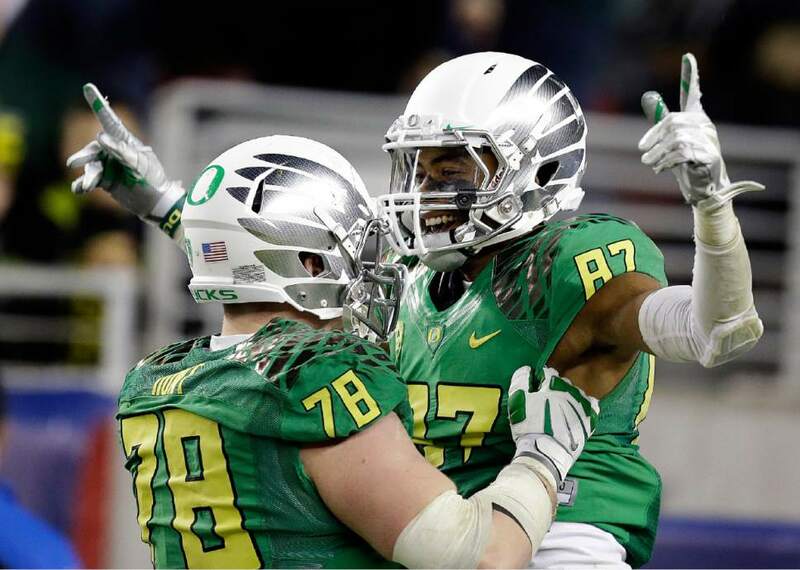 This past fall, the Oregonian reported that he&apos;d been accused of breaking the arm of a Oregon graduate but was never charged. "It&apos;s a case-by-case basis," Whittingham said about bringing in players dismissed by other programs. "Everything comes down to the individual and their attitude, whether they&apos;re remorseful. There&apos;s no one set, &apos;OK do this, or this, then this.&apos; You&apos;ve just got to evaluate it and determine. The kid, is he a good person that has made a couple mistakes, or is he not a good person that doesn&apos;t really care that he&apos;s done some dumb things? It&apos;s a gut feel a lot of the time, and you&apos;re not always right. But you use your best judgement." Carrington will join the program as a graduate transfer and be immediately eligible with one season left. Whittingham said that a transfer would be coming into the program for a short period of time doesn&apos;t change his general transfer considerations. "If anything," Whittingham said, "it&apos;s more, &apos;What happened? Why&apos;d it happen? Is there a pattern? Is it happening repeatedly over and over?&apos; You just have to weigh the situation and make a determination whether or not it&apos;s worth trying to save somebody  I guess you could use that term. It&apos;s not always trying to save somebody, but give somebody another opportunity." 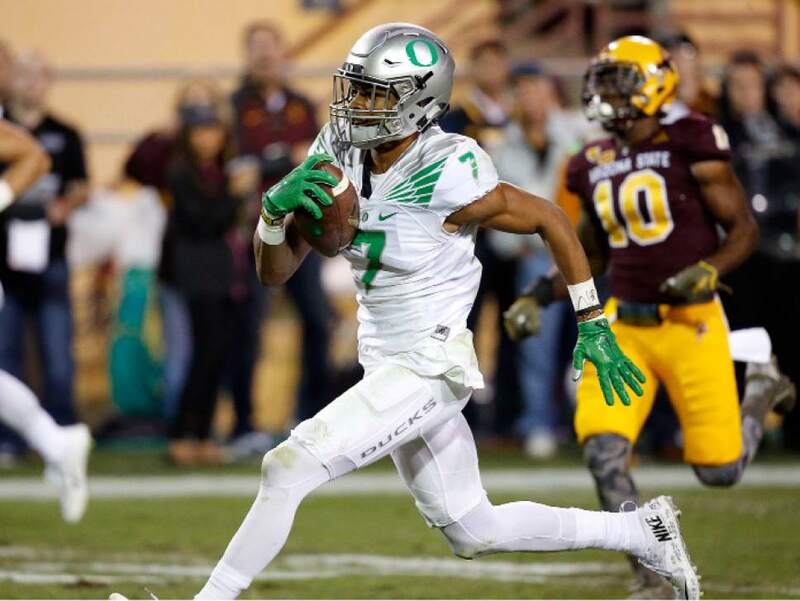 Carrington led Oregon in receiving yards (606) and tied for the team lead in receiving touchdowns (five) in 2016. 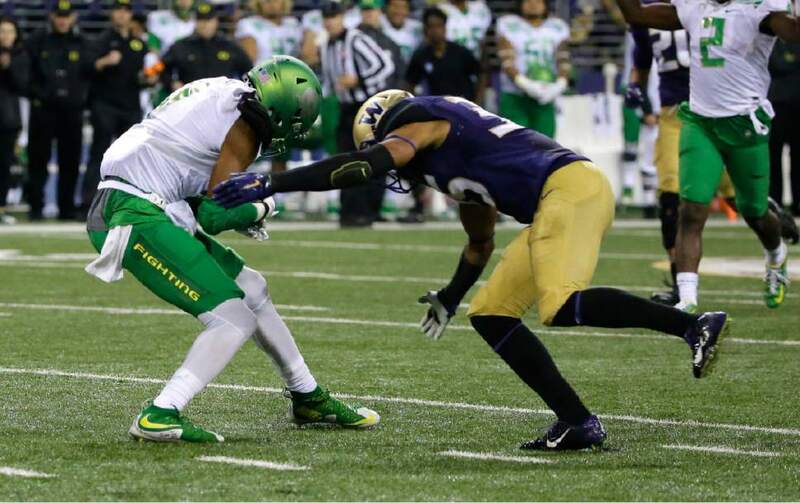 "We all know what he&apos;s done on the football field," Oregon State coach Gary Andersen said of Carrington. "He&apos;s a game changer. He&apos;s been a game changer in the league. You need four or five of those young men on your team, and if you do that, you&apos;ve got a better chance to win. If he gets the system and understands the system, I&apos;m sure he&apos;ll get an opportunity." While Andersen said the "overall transfer thing" has gotten crazy, he also pointed out he has three transfers on his team this year, and he&apos;ll bring in players from other programs if he believes it makes his team better. 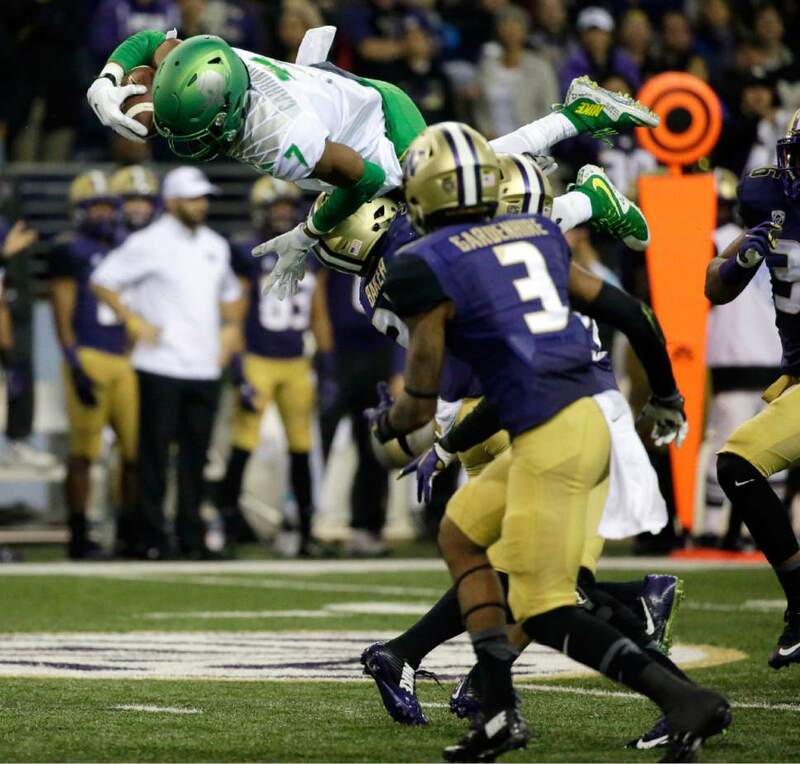 When it was pointed out that Utah and Oregon will play this season, Washington coach Chris Peterson said "those are always unique twists to the story, for sure. You know, I mean, we&apos;ve all got our own issues we&apos;ve got to deal with. That&apos;s Oregon and Utah&apos;s issue right now. But, yeah, those are interesting twists to the story." As far as whether Carrington will make an impact with Utah, Peterson said, "Oh, he&apos;s a good player now. He&apos;s going to have an impact for sure. There is no doubt about that."